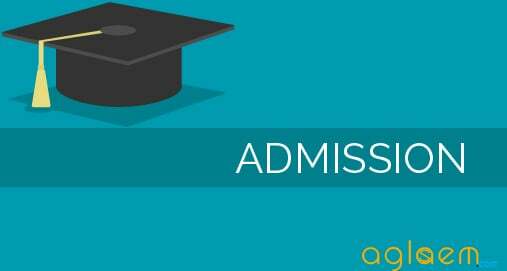 IIM Visakhapatnam (IIM V) Selection Criteria for PGP 2019-21 Admission – This document details the process that will be adopted for selecting candidates for admission to the Post Graduate Program in Management (PGP) at the Indian Institute of Management Visakhapatnam (IIMV) for the batch of 2018. The admission process seeks to identify the most promising candidates for the PGP batch of 2018 for IIMV. IIMV uses multiple parameters, namely academic performance in 10th standard examination, 12th standard examination and Bachelor’s degree examination, candidates’ scores in CAT, as well as performance in Personal Interview and Written Ability Test to judge the suitability of candidates for the PGP program. Relevant work experience, if any, is also given weight in the selection. Evaluation by multiple criteria is also consistent with empirical research on recruitment and selection that shows greater efficacy of recruitment processes that uses multiple criteria. The CAT score, over and above being a selection criterion, is also used to establish the minimum level of proficiency that is expected from the candidate in respective faculties as indicated by section wise minimum scores in the CAT. Multiple criteria are used to arrive at a composite score for every candidate, which is used to select candidates. The remaining part of the document explains this process in detail. Latest: Important Dates regarding IIM Visakhapatnam (IIM V) Selection Criteria for PGP 2019-21 Admission has been released. Check it from below. The first phase process is applied to all eligible candidates who appeared for CAT 2017 and have applied for IIM Visakhapatnam to determine those qualifying candidates who will be called to reconfirm their interest for admission to PGP 2018-20 of IIM Visakhapatnam. The first short list of candidates is based on candidates securing minimum section-wise and aggregate percentile scores in the CAT. Candidates obtaining a positive (greater than zero) raw score in all sections of CAT-2018 will only be considered. The percentile cut-off scores used for CAT 2018 are shown in table. All the subsequent processing, standardization and selection is limited to candidates belonging to this first shortlist alone. This means that the CAT score alone (for candidates who have applied for IIM Visakhapatnam) is used as the basis for arriving at the first shortlist. Only those candidates who meet the minimum CAT 2018 percentiles requirements, and have reconfirmed their interest, by the stipulated date, for admission to PGP 2019-21 of IIM Visakhapatnam (herein after referred as Qualified Confirmed Candidates) will be considered in Phase 2 of the admission process. For all Qualified Confirmed Candidates, the candidates’ percentage scores in the 10th and 12th board exams are initially adjusted by dividing each such score by the 90th percentile score obtained in that board. The database of 10th and 12th scores of all CAT applicants of the past two years is used for identifying the 90th percentile score for each 10th and 12th board for this purpose. For all Qualified Confirmed Candidates, final scores obtained by the candidate are used for the bachelors’ degree and professional degrees (if any). Incomplete or intermediate scores are considered only if the candidate’s final score is pending. Thus, for final year bachelor’s degree candidates (at the time of CAT registration), their incomplete graduation score would be taken in lieu of final graduation score. Graduation scores are adjusted within their respective categories. This gives the adjusted score for the bachelor’s degree for all Qualified Confirmed Candidates. For all Qualified Confirmed Candidates, candidates with Chartered Accountancy, Cost Accounting, and Company Secretary certifications are eligible for weight under professional course. No other professional course is eligible for weight under professional course. The professional course score is also standardized for all Qualified Confirmed Candidates. Where x is the months of work experience up to July 2018, as captured in CAT application form (and substantiated in the application to IIMV). This implies that the score will peak at 36 months work experience and will remain at that level for candidates with work experience exceeding 36 months. The work experience score (maximum 8 in the pre-PI stage) will be multiplied by the quality of work experience score on a 5 point scale (0.25 – 0.5 – 1 – 1.5 – 2) as given by interviewers in the PI process in Phase 2, to then arrive at a weighted work experience score. For all Qualified Confirmed Candidates, the maximum of the work experience score and the professional course score is considered for selection under a common parameter of work experience – since both provide professional work experience relevant to a management programme. CAT=40, 10th board=20, 12th board=10, Bachelors=20, Gender Diversity=2, Work Experience=8. The 40 points for CAT are derived from the performance in each of the three sections as follows: Quantitative Aptitude (QA) – 10 points, Data Interpretation & Logical Reasoning (DILR) – 16 points, and Verbal & Reading Comprehension (VRC) – 14 points. All Phase-2 Shortlisted Candidates will be invited to submit a detailed application, including a statement of purpose, details of semester wise / year wise marks in Bachelors’ degree etc., copies of all academic transcripts & certificates, copies of work experience certificates (if applicable), certificate of disability (if applicable), scheduled caste / scheduled tribe / other backward class – non-creamy layer certificate (if applicable). Only those Phase-2 Shortlisted Candidates, who have submitted the detailed application (including all the required documents) by the due date, will be considered for the personal interview stage in Phase-3 as described in points below. The scores in all past academics will also be updated, if required, on the basis of actual mark sheets / grade cards submitted. Unless otherwise mentioned, percentages would be calculated by considering all subjects that the candidate has appeared for examination. (weight = 10), Weighted Work Experience (weight = 10). The final offers of admission to candidates will be made strictly on the basis of ranks in each category on the final aggregate score. Since IIMV follows a comprehensive multi-criteria process, it is able to identify many candidates who have an excellent academic record and work experience but who, while doing well enough in the CAT to be in the first shortlist, may have narrowly missed the high score that would have been required if CAT alone was the basis for admissions. Such candidates effectively replace candidates who have only a high CAT score but score poorly in terms of their past academic record and work experience. 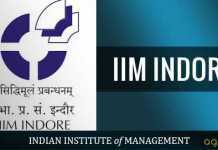 IIMV emphasizes consistent and high performance in past academics.